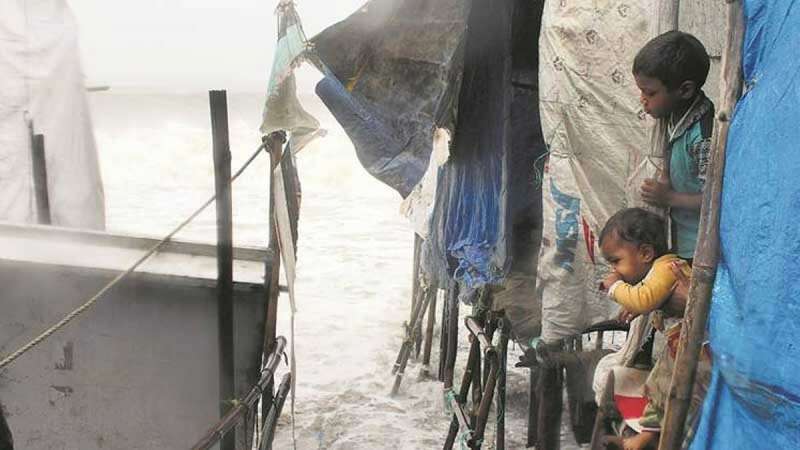 Surat : The India Meteorological Department (IMD) on Tuesday night said that cyclone Ockhi is gradually weakening into a depression and may not hit Gujurat coast near Surat as predicted earlier. Cyclone Ockhi has already turned into a “deep depression” and may hit south Gujarat only as a “depression” late tonight, according to an official statement. The last location of deep depression was around 240km south-southwest of Surat. “The deep depression over east-central Arabian Sea moved further north-northeastwards with a speed of 18km/h during the past six hours and lay centred over east-central Arabian Sea near latitude 19.4º N and longitude 71.5º E, about 240 km south-southwest of Surat and 150 km west-northwest of Mumbai,” the IMD forecast said. “It is very likely to continue to move north-northeastwards, weaken further and cross south Gujarat and adjoining north Maharashtra coasts near Surat as a depression by tonight (5 December 2017),” the bulletin read. Earlier, it was predicted that cyclone Ockhi will reach Gujarat by Tuesday midnight. Over 3200 people were evacuated from 29 coastal villages in Surat district for safety purpose.